Around 1.4 billion people presently live in extreme poverty, and yet despite this vast scale, the issue of global poverty had a relatively low international profile until the end of the 20th century. 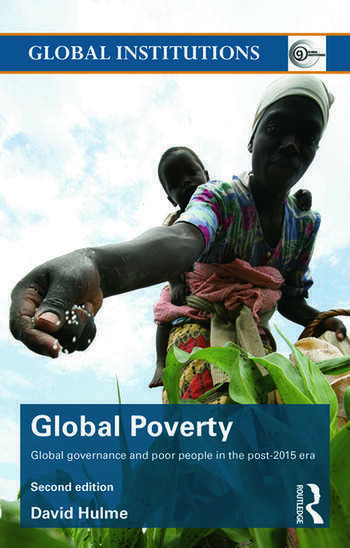 In this important new work, Hulme charts the rise of global poverty as a priority global issue, and its subsequent marginalisation as old themes edged it aside (trade policy and peace-making in regions of geo-political importance) and new issues were added (terrorism, global climate change and access to natural resources). The first book to tackle the issue of global poverty through the lens of global institutions; this fully updated volume provides an important resource for all students and scholars of international relations, development studies and international political economy. David Hulme is Professor in Development Studies and Director, Global Development Institute (formely Institute for Development Policy and Management) at the University of Manchester, UK.